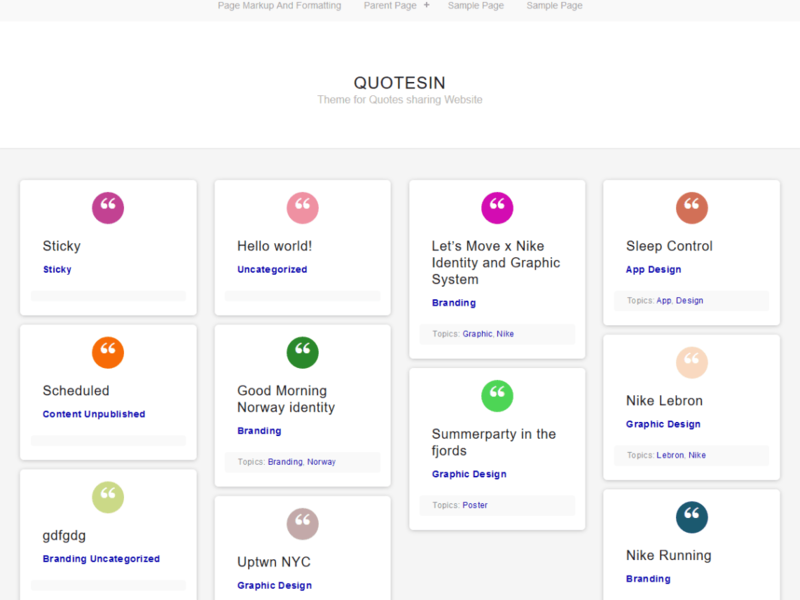 QuotesIn is a free masonry style grid WordPress theme designed and developed especially for quotes websites. This is a mobile responsive WordPress theme hence your quotes websites look impressive even in mobile devices. Also you can use it for your portfolio, blogging, education or any type of site.